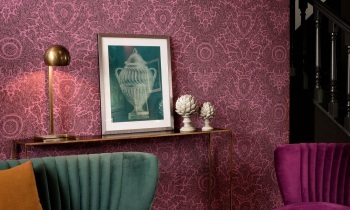 This collection is part of Flamant - The Wallpaper Collection. Have a look at the other collections of this brand. Do you look back nostalgically to your adventures and experiences? 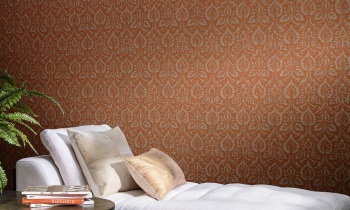 Arte's new wallpaper collection, Flamant Les Mémoires, unites nine patterns to let you drift off to the past. These remarkable prints make you think back to your travels, sultry summer evenings or scenes from your youth. Les Mémoires brings to mind all those memories and makes you long for more. 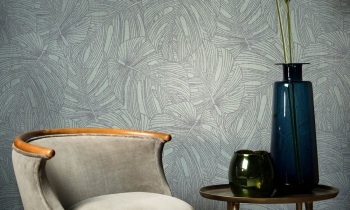 Wallpaper specialist Arte and the Belgian interior design brand Flamant have been working together for many years now. 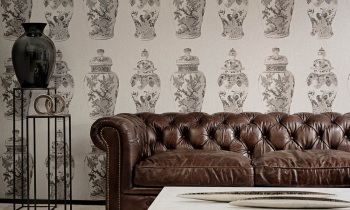 Prior to 2015, they had already developed seven wallpaper collections together in the same style. In 2015, they changed course and created a new, fresh basis for their next combined creations. Since then, a stylish linen texture has been the keynote that features in all the wallpaper collections. The first in this new range was the Les Unis collection, a plain wallpaper with linen look, available in 76 bright colours. Les Mémoires was also a perfect match for this. All nine patterns in this collection have the same linen look as their basis. The team of designers developed the prints so that they had the typical Flamant feel. By doing this, these patterns can be perfectly combined with the other Flamant patterns and the plains. 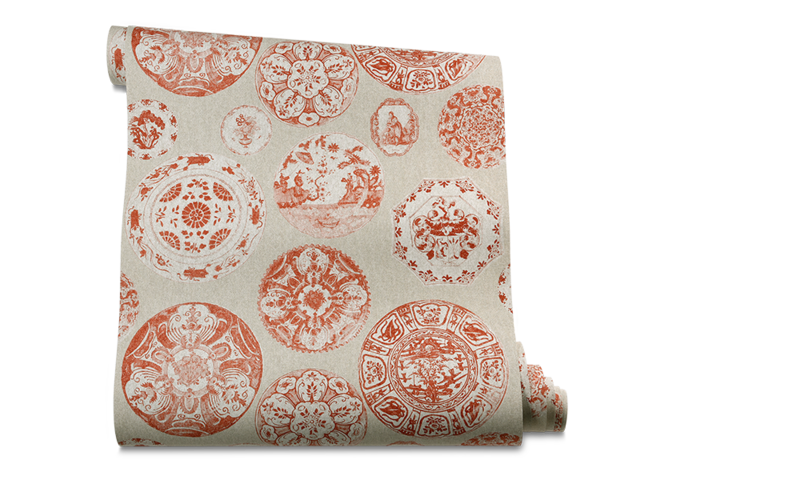 Delicate porcelainOriental art aficionados will be delighted with the Poterie pattern. The striking pattern consists of a range of porcelain vases. This gives the print a very delicate and refined look. Poterie is available in the traditional porcelain colours of white and blue or earth tones. Floral JapanWith Japonais, you can surround yourself in the opulence of flowers in a Japanese landscape, giving you a feeling of instant happiness. 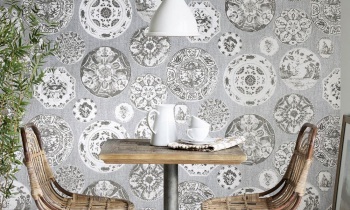 With this wallcovering, you can bring the great outdoors, indoors. You can choose from matching tones and three more striking colour combinations: red and turquoise, light green and grey, and finally mustard yellow and jeans blue. 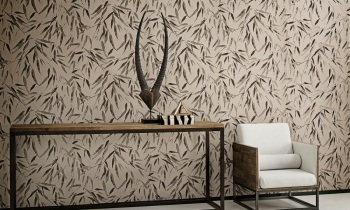 Exotic bambooThe floating bamboo leaves give the Bambou pattern a delicate touch. Have you ever travelled to Thailand, Vietnam or China? Then this print will take you back to those exotic locations. 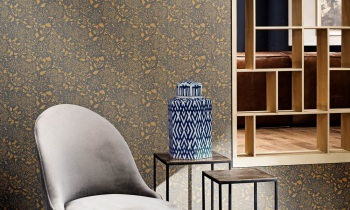 Bambou is a little bit different to the other patterns because the wallpaper is finished with a hint of flock and metallic ink. Lavish VersaillesL'Histoire looks like it has come straight out of the palace of Versailles. This traditional look gives your home a lavish feel. This pattern is not at all strait-laced and linear; the wallpaper seems as if it is almost hand-woven. Delicate ceramicsCéramique pays homage to tradition and presents a collage of ceramic plates. The combination of fine details and numerous drawings creates an intriguing, slightly vintage tableau. Tropical jungleNowadays, we cannot do without plants in our homes. 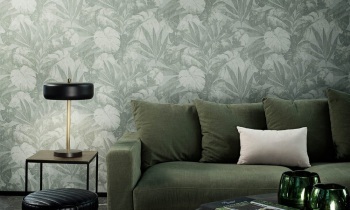 Take a trip through an imaginary jungle in your own home with Expédition. The linen texture really gives the wallpaper an amazing effect. It seems as if the pattern is slightly distressed and this adds to the ambience. Allow yourself to be enveloped in the tropics! Persian ParadiseWith his sumptuous look the Voyage pattern takes you to the Middle East. The ethnic design with Persian influences grabs your attention: each detail has been made to be discovered. Voyage exudes luxury and lets you drift off and dream. Beautiful buttercupYou can run carefree, through a field of flowers in your own home. 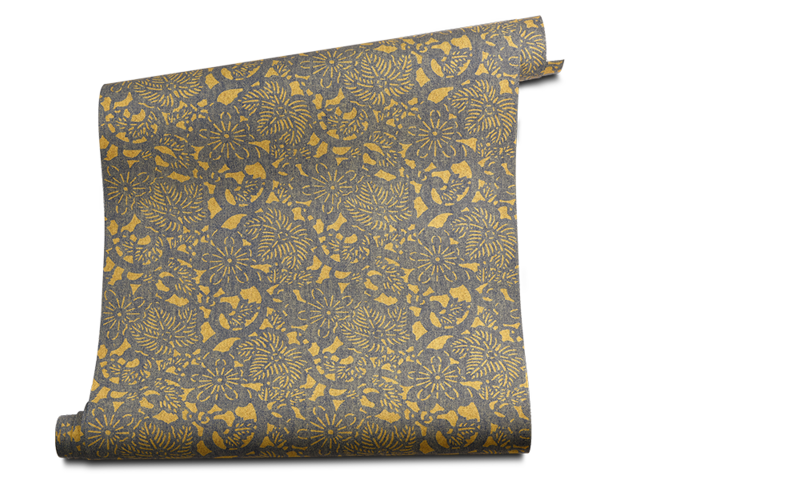 Bouton d'or has the same elegant design as Bambou, but with this pattern it is the humble buttercup that draws your attention. This floral pattern means that spring is never far away. Graphic climbing plantWe remain in the tropical rainforest with L'Aventure. 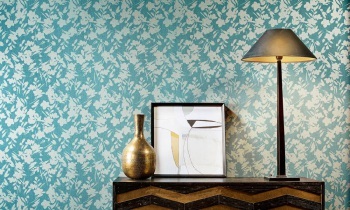 The large leaves on the pattern overlap each other, creating an interplay of lines with a surprising, dynamic effect. 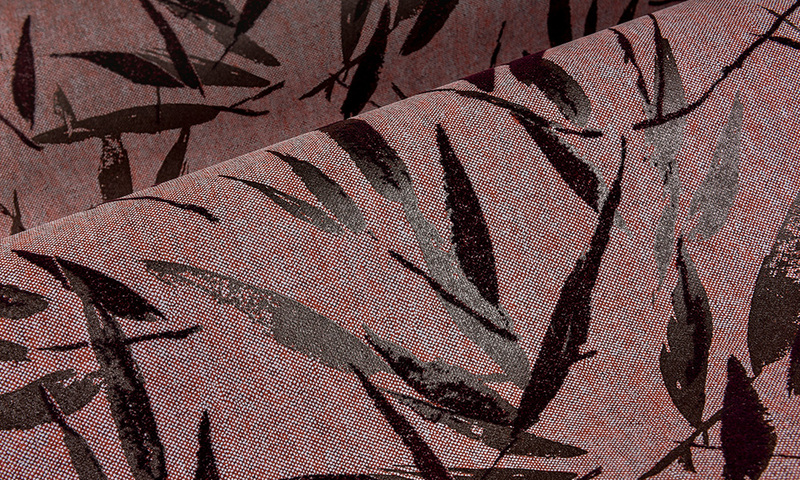 The veins of the leaves that cross one another, combine to create a print that is almost graphic. As a bonus, you never have to water these plants.